To be honest, people have been expecting the next WWIII since I was a kid. That being said, this definitely seems to be one of the craziest times in world history, and tensions are high at home and abroad. We have for years been wondering when the next major global cataclysmic event might hit, or the next major financial crisis, or, of course, this massive nuclear war everyone has been anticipating since the Cold War. As we’ve been covering in our survival news articles, the US recently deployed an aircraft carrier to disputed territory with China, Iran is doing their annual navy exercises after being out “on notice” by the Trump administration, and our nation’s relationship with Russia, a major ally of both Iran and China, is currently very confusing as the American media continues to accuse them of interfering with our election and being in bed with the Trump administration. It’s confusing, but if you’ve studied world history, when you throw the complicated war in Syria, the constant threat of ISIS, and the increasingly violent opposition to the Trump administration here at home in the mix, it certainly has the makings for at least some kind of major conflict. 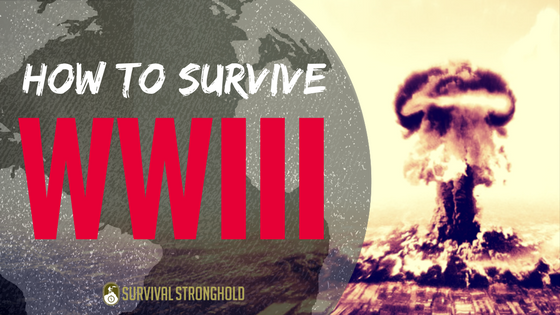 But, since WWIII is on everyone’s (or at least, the MSM’s) lips these days, we thought we’d share a few crucial tips for preparing for survival in a war zone. If you expect war to strike your community, take this time to learn the area, travel routes, as well as the major population, military, and supply centers. Plan, plan, plan. This is what military commanders do in the midst of battle, so do it now for your family. Plan evacuation routes and procedure, home defense protocol, what you would bring with you if you were suddenly displaced, how to reunite the family if a major bombing or invasion were to happen, every possible scenario for if war were to strike your area. Whether you live in an urban or a rural area, you will want to consider which you will prioritize for your bug out/seeking refuge/holding down the/a fort. 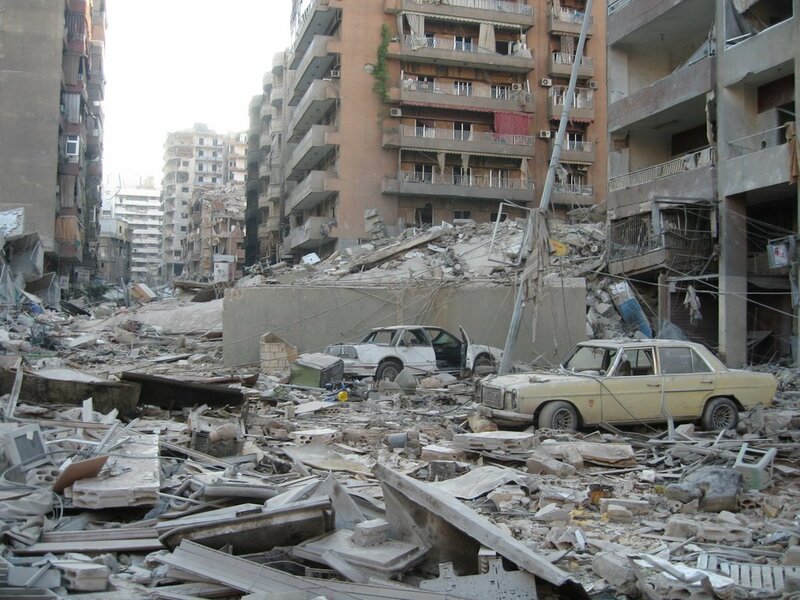 Urban locations are some of the hardest hit during a war, as we’ve seen for the last few years in Syria. However, it can be easier to find supplies and shelter in urban environments as well, and the complex layout of a city can, in some ways, offer more opportunities to hide and pass under the radar. A rural environment will often be away from the major conflict, but, if you’re isolated in a certain area, you can be a sitting duck if enemy troops or opportunistic criminals were to come along. 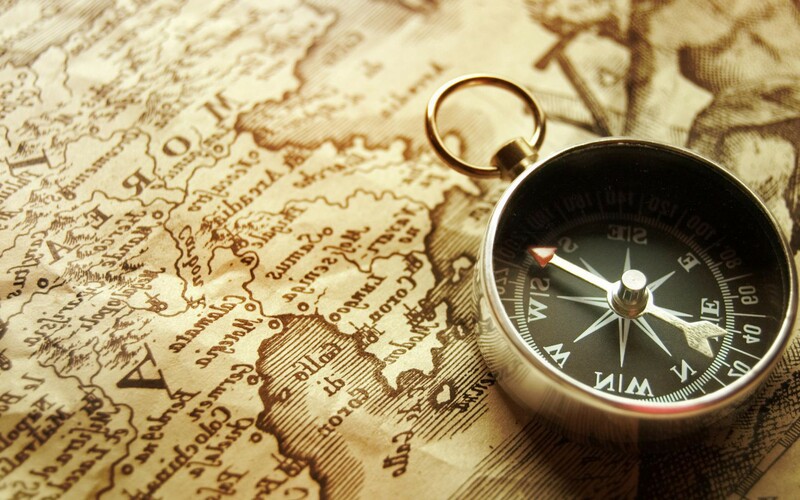 This is where getting to know your location comes in; try to plan out multiple areas you could go and get to know their advantages. We probably sound like a broken record sometimes advocating for arming yourself, but, if you’re an American, you can and ought to arm yourself as much as possible. It is rumored that the WWII commander-in-chief of the Japanese Imperial Navy, Isoroku Yamamoto, said to his troops, “You cannot invade the mainland United States. There would be a rifle behind every blade of grass.” Whether or not he actually said this is debated, but, while these days that might not be true of many left-leaning urban population centers (although the gangs in these areas would probably defend their turf), there are still many parts of flyover country in which it would certainly be difficult to invade. 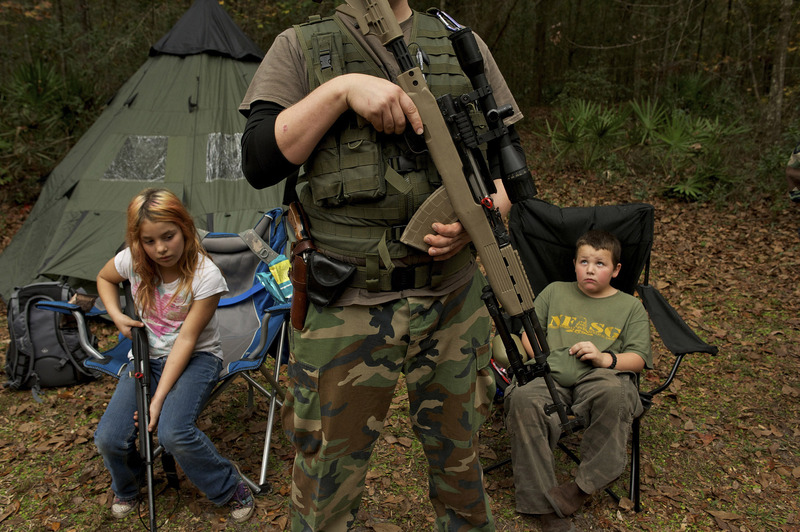 This is why many Americans believe in being armed, and why, if you’re anticipating war or major political upheaval, you should be arming yourself, and also training yourself and your family to use your weapons. You might need to rely on your neighbors and community if war strikes, so figure out now who you can trust to work with you if you need to relocate or defend your area from invaders or opportunistic criminals looking to loot (or worse). Along with training with your weapon, learn other survival skills, such as hunting, fishing, reading the sky, recognizing military vehicles, nuclear contamination protocol, etc. These will be essential and you probably don’t want to learn them the hard way. This might go without saying, but get yourself prepared for supply lines to be cut off, stores to be occupied or leveled, and major municipal utilities to be shut down. Stock up on water, fuel, hygiene products, everything we generally recommend on this site. It is an age-old, ugly aspect of war, that enemy combatants often target the women and girls of the country they’re invading or occupying. If you’re a woman or have women and girls in your family, learn to gender camouflage. We’ve posted a video on that here, and survival tips for women and children here. For the men and adult women in your family or group, learning the gray man way of blending in could be very useful, in many scenarios in a war or post-war setting. We wrote an article about staying under the radar in an urban environment that might prove quite helpful in this area. During WWII, while the US mainland was never invaded, domestic supplies were taxed, trade routes were interfered with, and resources were scarce. 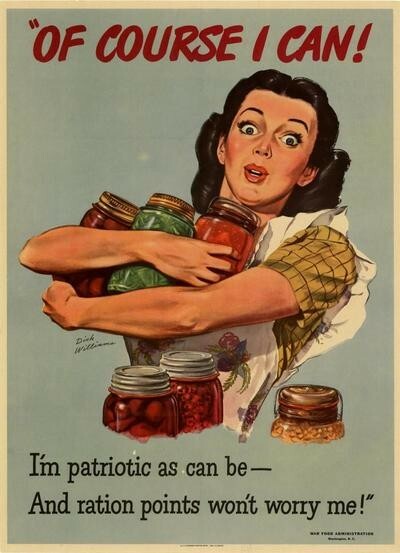 You’ve probably heard of the “Victory garden” movement, in which Americans would grow gardens to do their part to free up resources for the troops abroad. Plant a garden with a sustainable model, seed save, invest in good gardening supplies, and think about equipping yourself to plant gardens elsewhere should you need to relocate. You might also want to start raising chickens or other small livestock. The downside of gardening or raising livestock is that you might make yourself a target to looters, foreign troops, or even government confiscation. So, have a backup plan. We’ve written about hiding supplies for discretion and safety, so plan to have food, water, weapons, and other supplies stashed strategically should your initial supplies be taken. Here are some of the primary considerations when preparing for an upcoming war. There’s no sense in being paranoid, but there’s always sense in getting ready, mentally and physically. A failure to plan is a plan to fail, and wartime is no joke. Invest your resources, time, and intellect into getting your family and home ready and secured today. If this was helpful, you might also like…. What Will WWIII Really Look Like?